The Trials of Muhammad Ali is now available to stream on Netflix. Add it to your queue today! Bill Siegel's documentary has had a great year since premiering at Tribeca Film Festival in April 2013. Since then, the film has been distributed in theaters by Kino Lorber, had its international premiere at IDFA, and picked up awards from the International Documentary Association and FOCAL International, as well as receiving great reviews and landing on many critics' year-end lists of best films. This great run was capped by the film's widely acclaimed PBS broadcast - the highest rated episode of this season's Independent Lens - and history-making simultaneous online interactive screening. 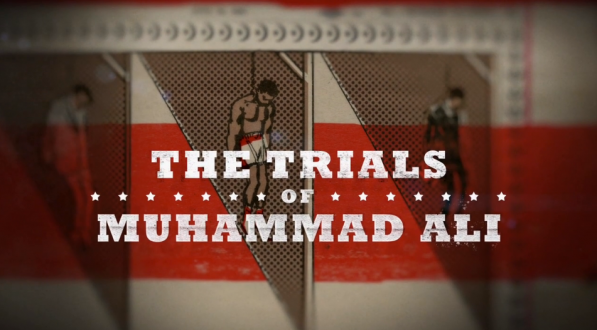 The Trials of Muhammad Ali is now available to purchase on DVD from www.kartemquin.com/store, and is currently available for rent and purchase via video on demand platforms such as iTunes, Amazon Instant Video, Google Play, and Vudu.